Gear Sport: What are the other devices I can connect on the Gear sport? Take your Gear Sport with you when you have to deliver a presentation. Just connect it to your laptop via Bluetooth and you can use it to control the presentation. 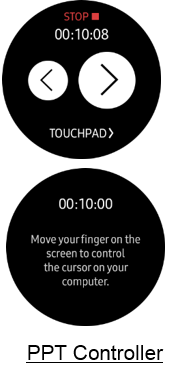 You can also use it with your Gear VR: Rotate the bezel to control the volume or scroll up or down. it to control your house lights or your IoT home appliances.